B4GALNT1 monoclonal antibody (M02), clone 5F9 Western Blot analysis of B4GALNT1 expression in HeLa ( Cat # L013V1 ). B4GALNT1 monoclonal antibody (M02), clone 5F9. 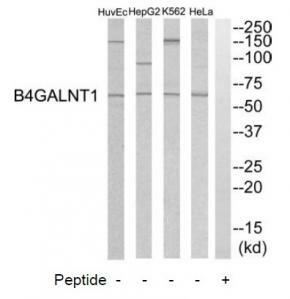 Western Blot analysis of B4GALNT1 expression in PC-12 ( Cat # L012V1 ). 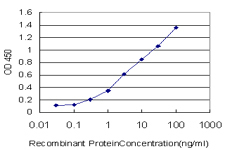 Detection limit for recombinant GST tagged B4GALNT1 is approximately 0.1ng/ml as a capture antibody. 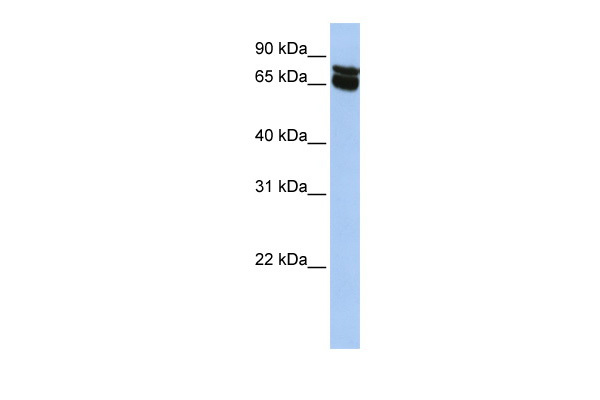 Western Blot analysis of B4GALNT1 expression in transfected 293T cell line (H00002583-T01) by B4GALNT1 MaxPab polyclonal antibody.Lane 1: B4GALNT1 transfected lysate(36.08 KDa).Lane 2: Non-transfected lysate. Western Blot analysis of B4GALNT1 expression in transfected 293T cell line (H00002583-T01) by B4GALNT1 MaxPab polyclonal antibody.Lane 1: B4GALNT1 transfected lysate(35.50 KDa).Lane 2: Non-transfected lysate. Western blot analysis of B4GALNT1 expression in MDAMB453 (A); A549 (B); K562 (C) whole cell lysates. Western blot analysis of extracts from HeLa cells, K562 cells, HepG2 cells and HuvEC cells, using B4GALNT1 antibody.The lane on the right is treated with the synthesized peptide.